"Live your second childhood today and mentally relive the days when as a child you ran free, when there were infinite possibilities of what you could feel, accomplish, and see in the world. Allow for the energy of your remembered freedom to thunder through you, and you will free yourself from the false obstacles your adult life has put in your path. Today is the day to play!" After all these years, Tokyo's Chidorigafuchi Park is still one of my favorite cherry blossom viewing spots. If you get a chance, please check out the rest of my pics at Flickr. "As a symbol of our gratitude, we'd like to present you this special gold watch to serve as a reminder of your many years with the company. It needs a lot of winding up, is always a little late, and every day at quarter to five, it stops working." Before coming to Japan, I'd never even heard of the nighttime light-up of flowers, but now it's fair to say I'm thoroughly hooked. ​​And embarrassingly, even after nearly 3 decades here, it wasn’t until just last year that I was introduced to the amazing Nakameguro Cherry Blossom Festival (中目黒桜まつり) by my very kindhearted Canadian musician friend Mr. Jonny Barefoot. The very narrow canal is lined with TOO many shops and food stalls, with lots of spring-themed festival food, including the seemingly over-the-top promotion of pink champagne. A few too many people for my liking, as some sections, especially near Nakameguro Station, were a bit difficult to walk around with so many revelers, but it was quite the exhilarating sight to see nonetheless. My low-quality iPhone pics don't do the place any justice, but I hope you can somehow get a feel for the magic of these beautiful, nighttime illuminated cherry blossoms as much as I did a few nights ago. Mar. 28, 2019 - It's once again that magical time of year in Tokyo! The beautiful cherry blossoms started opening up last week and today have reached full bloom in the nation's capital. 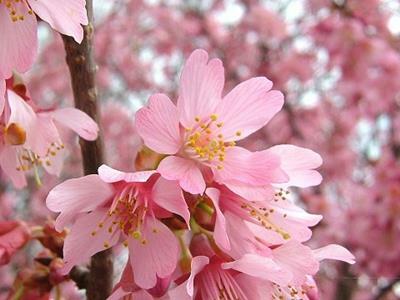 The cherry blossoms in Japan are a very significant symbol of renewal and starting a clean slate. Hence, both the new school year and fiscal year begin April 1st in Japan. They are also a symbol and reminder of the fragility of the human existence. The blossoms rarely last more than a week to 10 days, and then they are GONE.... until next year. Mar. 11, 2019 - A public pay phone? What's THAT? When the magnitude-9 Great East Japan Earthquake (東日本大震災, Higashi Nihon Daishinsai) struck 8 years ago today, even though cell phone networks bit the dust, public pay phones turned out to be vital lifesavers, as they continued to be operational after the disaster. But in a survey by major telecom firm NTT East of parents with children in elementary school, nearly 80% of them said their children don't know about pay phones or have never used them. To increase awareness of pay phones, NTT East has set up a website with quizzes, videos, and virtual-reality experience for children to learn how to use public pay phones, and also featuring a pay-phone locator. Wow! 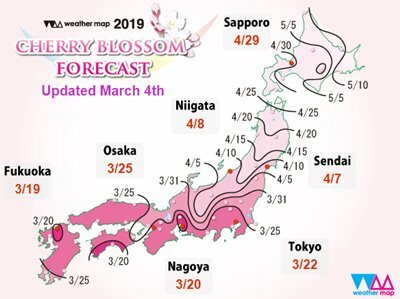 Only 16 more days till the cherry blossoms are forecast to begin blooming in Tokyo on Mar. 22! Yay! This is the same day as last year, but 4 days earlier than the average blooming date over the past 10 years. 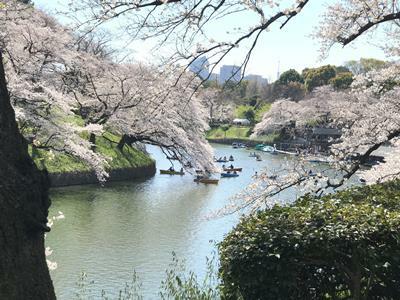 Full bloom in Tokyo is forecast for Mar. 30. Can't wait! Mar. 4, 2019 - Tokyo is very CONVENIENT! If there's just 1 word to sum up my lifestyle in Tokyo, it'd be "convenient." My tiny apartment is only a couple minute walk from the subway station and within a couple hundred feet of a 24-hour 7-11, supermarkets, drugstores, 100-yen shops, recycle shop, police box, my bank, 24-hour fitness gyms, medical clinics, pachinko parlor, karaoke boxes, and multiple ethnic restaurants. And even the sometimes annoying-yet-tolerable noise from living in a somewhat commercial district is a small price to pay for all this ultimate in convenience. For the past several decades, massive urbanization and social changes in America have caused many small towns to lose their residents to larger cities, where better jobs and opportunities exist. But big cities have also raised the economic threshold necessary for even the most basic living expenses to the point that they have become unaffordable for many of their citizens. In July 2014, Spur, Texas passed a city council resolution that declared Spur the nations’ first tiny house friendly town. This old west Texas town, with a population of only 1000 and just an hour's drive east of Lubbock, now welcomes new pioneers and their tiny houses, generally defined as between 100-400 square feet. Lubbock is the vibrant, rapidly-growing west Texas city (pop. ~300,000) which is home to Texas Tech University. As one who lives by himself in a tiny 1-room, 250-sq. ft. apartment, I can definitely relate to this kind of lifestyle. So if you've ever thought about scaling down and simplifying your life, Spur, Texas could be just what you've been looking for! Last week I was able to escape Tokyo's brutal cold winter for a few days of sun and surf in the beautiful US territory of Guam, where I haven't been in 12 years. I figured it was about time to get back and refresh my data. 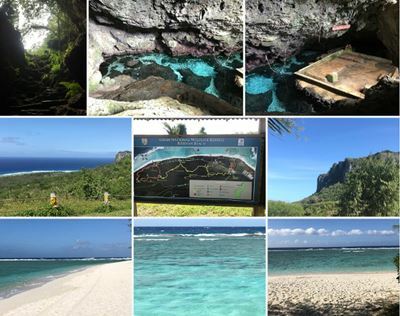 Guam has become TOO commercialized, especially with hordes of Japanese and Korean tour groups, but there're still lots of beautiful natural spots to see, like Marbo Cave and Ritidian Beach shown below in the photo collage, as well as in my Guam Flickr photo album. Enjoy! "Objective: My position will have pleasant surroundings, a reasonable salary, low pressure, not require me to bring work home, and good benefits." --- Just what we’re looking for. When can you start? "Salary required: To be paid enough to buy a better house than I and my family currently live in, which has 4 bedrooms, 2 1/2 baths, and a fenced yard. Inflation must be taken into consideration." --- We think that sounds fair! We feel totally responsible for your standard of living. "Current salary: $36,000. Salary desired: $250,000." --- I know I said "you have not because you asked not," but this might be stretching it. Requirements: "I'll need $30K to start, full medical, 3 weeks vacation, stock options, and ideally a European sedan." --- Wow, all we have to do is provide a new BMW to help swing your decision? Cover letter: "I'm the best accountant you're ever going to find. If your company doesn't want to pay for the high quality, don't call." --- Thanks for the tip – we won’t call! Cover letter: "My top motivator is MONEY. If asked to choose between a professional desk job and one sanitizing a barnhouse that pays more, I'm headed for the farm." --- Are you competent or just greedy? Cover letter: "I've updated my resume so it's more appalling to employers." --- I find myself totally shocked already! Jan. 30, 2019 - Surf's UP... right in the heart of the world's largest metropolis! Citywave Tokyo opened on August 11, 2018, and appropriately so since Tokyo will be hosting the 2020 Summer Olympics where surfing will be an official Olympic sport for the first time ever. Located in central Tokyo only a 5-min. walk from Oimachi Station in Shinagawa Ward, Citywave Tokyo is part of “Sporu Shinagawa” (スポル品川), a sports park which features 7 olympic sports, and joins other Citywaves in France, Swizerland, Germany, Austria, Israel, with additional locations planned for Russia and America. The German inventors, Rainer Klimaschewski and his wife Susi, who are both trained engineers and were freestyle ski champions during the 80's, have been developing action sport simulators for over 20 years. Their early inventions included mobile water ramps to practice their ski jumps year-round and a rotating endless ski slope. Then, inspired by river surfing pioneer Arthur Pauli, they developed a rotating “dry-wave” modeled on the Eisbach Wave in Munich. Their first surfing simulator made it possible for surfers to execute the turns and tricks of real surfing without ever getting wet. But when the Klimaschewskis realised that genuine simulated surfing needed real water, after countless prototypes and tests, the first endless stationary deepwater wave known as Citywave was created. On Sunday I had the pleasure of viewing a sumo tournament for the first time in over 20 years. In spite of yokozuna Kisenosato having already retired a few days prior, and another yokozuna and ozeki having already withdrawn due to injuries, I got to see some of my favorite sumo wrestlers, including Kotoshogiku, Takakeisho, and Takayasu. If all that weren't enough, for the very first time during my nearly 3-decade tenure in Japan, I got to see the Japanese Emperor and Empress with my own eyes, who visited the Kokugikan sumo arena on the same day as me. This was their 23rd visit to the arena and their last as Emperor and Empress before Emperor Akihito's abdication in April. Don't miss them waving to the crowd at the 21:16 mark in my video below, and also the incredibly heartwarming applause from the sumo fans. Wow, it almost made me cry. Hot off the press! The eBook project I started on Dec. 31st to document my amazing February 2018 Pattaya, Thailand adventure... over 4600 words (*), 30 pics, and links to 27 video clips in my Pattaya YouTube video... is now complete. YAY! Pattaya is a coastal resort city about 100 km (62 miles) southeast of Bangkok on the Gulf of Thailand, is one of Asia's largest beach resorts, and is the 2nd most visited city in Thailand, after Bangkok. Highlights of the adventure include the breathtaking aerial view of Mt. Fuji, the Sanctuary of Truth, the Art in Paradise 3D optical illusion museum, the Pattaya Floating Market, Underwater World Pattaya, the motorcycle-driven mobile women's bra, shoe, and dress shops, and of course, all the stunning sunsets I saw between Feb. 7-14, 2018. 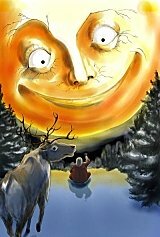 My latest eBook is now available for only $1.99 in the US Kindle store, or ¥214 in the Amazon Japan store (アマゾン日本). If you don't have a Kindle (neither do I), you can download the free Kindle app (Kindle無料アプリ) and read my eBook on your PC or mobile device by clicking on the "Read on any Device" image in the right column on the pages linked above. I sincerely hope you will enjoy reading this documentation of my February 2018 Pattaya adventure, and that you will find at least part of it informative or interesting, just as if you were taking the trip with me! I'm sure most folks will think this is about as exciting as watching paint dry, but after all these years of living in Japan, I still think it's really cool how many Japanese like to kick off the New Year by viewing the first sunrise. Before sunrise on January 1, many people will drive to the coast, climb a mountain, or go to the top of a tall building or structure like the Tokyo Sky Tree or Tokyo Tower to view it. Because it was cloudy on Jan. 1, MY 1st sunrise of 2019 occurred on Jan. 2 at 6:50 a.m. The background music I chose is one of my favorite songs, Yanni's "In the Mirror." Continue reading "Today's inspirational quote"
Continue reading "Gary J. Wolff's Blog"
Continue reading "Climbing Mt. Fuji - Frequently Asked Questions (FAQ)"
Page 2 of the most frequently asked questions about climbing Mt. Fuji, including info on routes, maps, videos, transport access, weather, and climber stories. Continue reading "Climbing Mt. Fuji - Frequently Asked Questions (FAQ), Page 2"
Continue reading "2019 Chidorigafuchi Cherry Blossoms (千鳥ヶ淵の桜)"
Continue reading "Is it OK to climb Mt. Fuji the week before the official climbing season opens?" 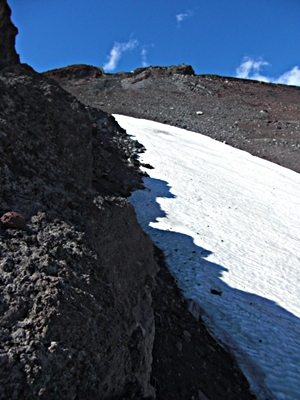 Pics, video, maps, and trail description of my Aug. 2012 climb of Mt. Fuji's Fujinomiya Trail, the shortest route to the highest point in Japan. Continue reading "Climbing Mt. 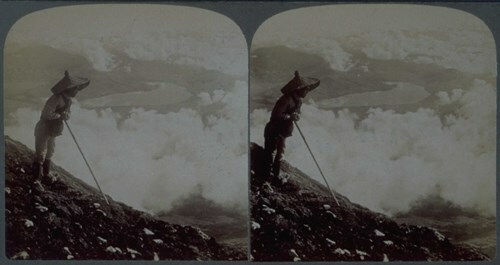 Fuji's Fujinomiya Trail (富士宮登山道)"
Continue reading "How do I make a reservation at the Chojo Fujikan summit mountain hut at the top of the Fujinomiya Trail?" Posts include the Gyotoku Festival, the world’s oldest barber, Japan’s stunningly beautiful fall colors, Japanese Xmas trees, and my Year in Pictures video. 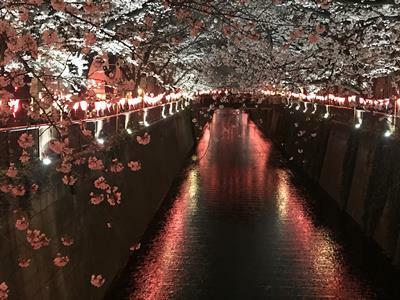 Continue reading "Gary J. Wolff's Blog Archives, October-December, 2018"
Continue reading "Here’s a retirement speech you don’t want to hear from your boss:"
Continue reading "Nakameguro Cherry Blossom Festival (中目黒桜まつり)"
It's once again that magical time of year in Tokyo! 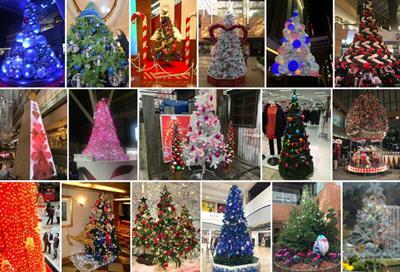 Continue reading "It's once again that magical time of year in Tokyo!" 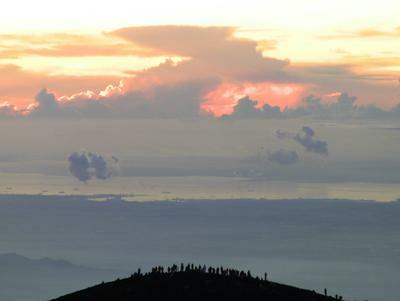 Continue reading "Hints from a Successful 2012 Summit via Gotemba Trail and a 2009 Fail via Subashiri Trail"
Are the Mt. 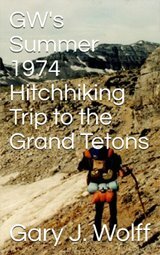 Fuji hiking distance and % grade numbers accurate? Continue reading "Are the Mt. Fuji hiking distance and % grade numbers accurate?" Continue reading "Beautiful Russian girls"